Is this a BTC keyboard? Does escape as the only extra-wide key on the board pretty much *always* signify BTC? Thanks. BTC is the only manufacturer that I know of that did that. If ESC is 1.25, the slight S-curve of the case profile also increases the likelihood that a keyboard is BTC. Focus also had the wide escape key on some models <FK-6000=attached> but I don't think this one is a Focus. I guess the exaggerated reverse slope of the bottom row keycaps is also a telltale sign for BTC? Hi, I'll try to keep this as short as possible. 2. The connector cable is tiny (as seen in photo) making me think it's from a portable system. 3. AT/XT switch on the back. 4. The flip out feet have "I-80" molded on the underside. 5. The keycaps are doubleshots, but I don't know the type of plastic and there's no yellowing that I can see. 6. On the sides it has latches very similar to the Compaq Portable 1's keyboard. Quite likely a luggable portable PC’s keyboard. The macro key is quite interesting: it was programmable. The caps are definitely ABS. Doubleshots always are. It’s still a good colour because it’s been kept in a box all these years, most likely. Neat, I haven't seen that version before. I have a similar keyboard with a different layout. <attached> Mine came with a generic luggable case (which I also have) that was sold with no motherboard. It wasn't part of a name-brand system. The only ID on mine is "IMP" followed by a serial number on a small paper label. Mine also has SKCM white Alps, but not double shot caps. This case was intended to take a 386 or 486 mini-AT (not ATX) motherboard, so mid-'90s. Last edited by Slom on 24 Jan 2019, 20:08, edited 1 time in total. ...which is micro switch RW. Well don't worry, I was just more curious than anything! I wish you luck! Yeah I'd recognize it anywhere, I own one. It's a Sanders Associates 720 Data Display Station keyboard that's been repurposed into something else. I think mine has, too, it's missing that diode-logic circuit card and the switches are directly wired to a DA-15 plug with hippy cable. Mine's still in full Sanders 720 livery, though. Anyone know anything about this? It looks like an Alfaskop 3700 keyboard (or a similar model) but I can't find anything on it. The keyboard matrix is hand wired and has ribbon connectors soldered to it. Possibly someone's DIY keyboard? It apparently has Clare-Pendar switches but I cannot confirm until I get it. Hello! I was referred here by a friend who said you guys can help identify almost anything. 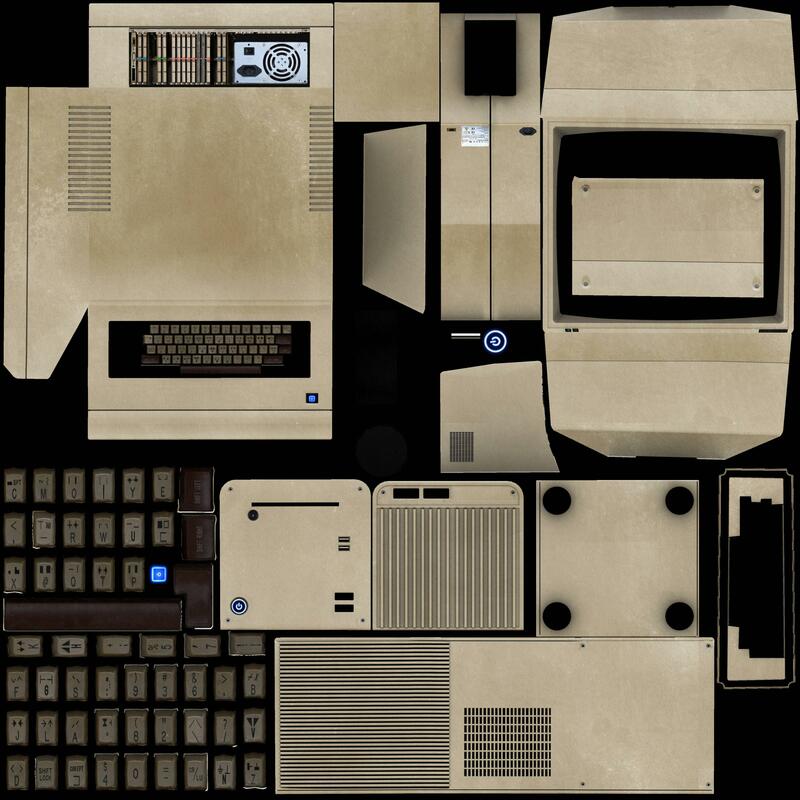 One of my friends in an enthusiast group for the game "The Talos Principle" pulled the textures out for the terminal, and we've been having a heck of a time trying to figure out what it's modeled after. Croteam is known for doing high-quality scans of real objects for textures, such as actually going to ruins in Albania and Egypt to get very accurate texture work, and so it's just a matter of curiosity to see what terminal they might have gotten this from. What was the hand wiring hooked up to: a Teensy or something vintage? Seems a strange layout to try to use today, given the lack of alpha block keys. You'd need to memorise some pretty weird combos just to type brackets and commas! Nice piece of work. When I first saw the image, I thought of this! Naturally, similar modelling work goes on inside games. Whoever put that together, I'm impressed. Can't say I recognise the hardware, however. For what little my knowledge is worth, it looks to be an AT or ATX era system, judging by the standard looking power supply on the back. That single populated card slot has some oddball ports on it. Could be a spot of creative licence all round. Got some pics of it as it appears in game? @Muirium - nope, no controller. Appears to be wired as a 5x8 matrix. looks like an old PYE PCB edge connector someone snapped. Coolest part is this old masking tape where someone has written what looks like a diagram for the PF keys! I really wish I could source the missing keycaps - would make a cool restoration project. I have not found anything about a Cherry G80-1800HPMDE. Can you please provide some information like what kind of keycaps and switches? Awesome! Now I am able decode any Cherry model number. Thank you very much and all the people contributing to the deskthority-wiki. PS: Shame on me! I should have been able to get this information on my own. But I was in a hurry, so please bear with me! After seeing it in person, I am confident somebody took an old Datasaab keyboard, desoldered the switches, put them in a strange layout and hand wired them. Still would like to know which machine this originally came from though. This keyboard came from an Alfaskop 3500 series terminal, which were sold from 1974 on until the end of the 1970ies, when they were succeeded by system 37 aka the 3700 series with reddish brown keys, not blue ones. There were several models in the 3500 series, also custom-made systems, but this one definitely has been tinkered with. That's sad, but, on the other hand, it probably wouldn't have survived otherwise. 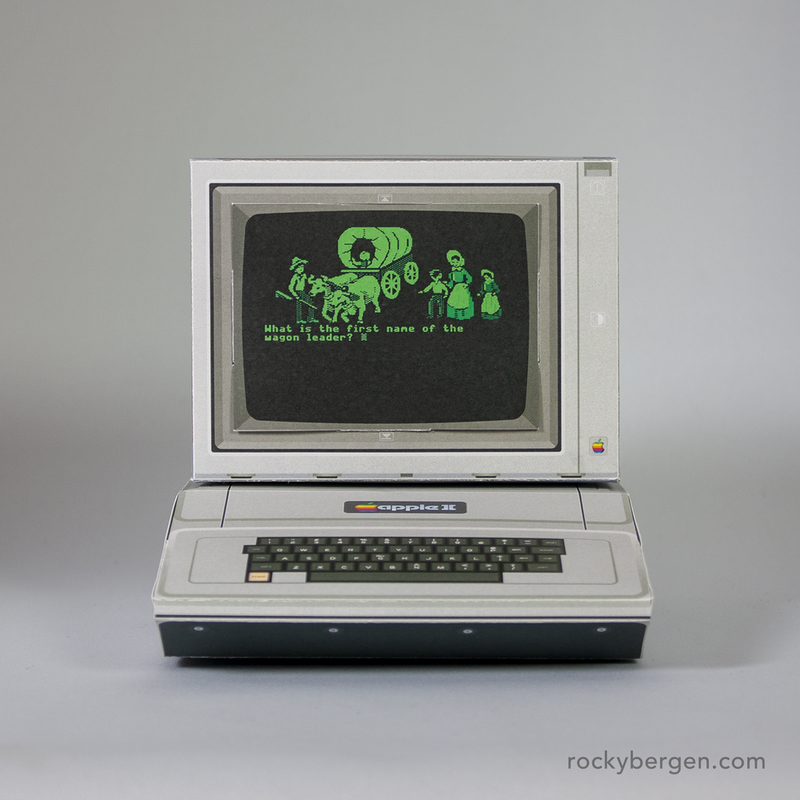 I have a 3rd party mechanical numeric keypad designed for an Apple II and I'm wondering if anyone can tell me information about the switches. Are they any good? Is this worth reverse engineering? The switches have four contacts (I think they're double pole?). I haven't been able to find much about the keyboard or any markings on the switches. Ha, what a wiring job! I see whole switches with nothing connected. Definitely fair game to do your own Teensy refit. You may well be right that particular keyboard only survived because someone chose to do this. Such old gear always has a story. Does anyone know what keyboard could this be? The keycaps are dyesub PBT with the apparent bleed.